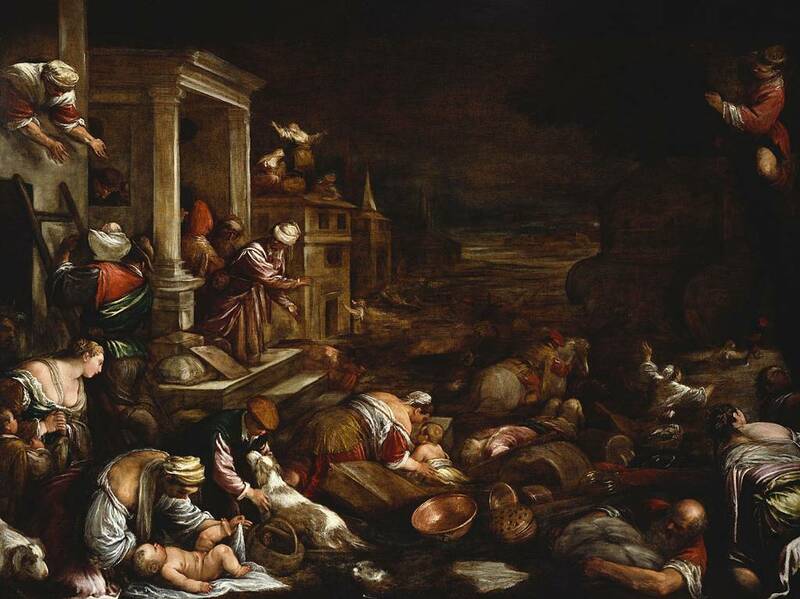 A night scene depicting the Flood, from the Biblical story of Noah’s Ark (Genesis, chapters 6-9). 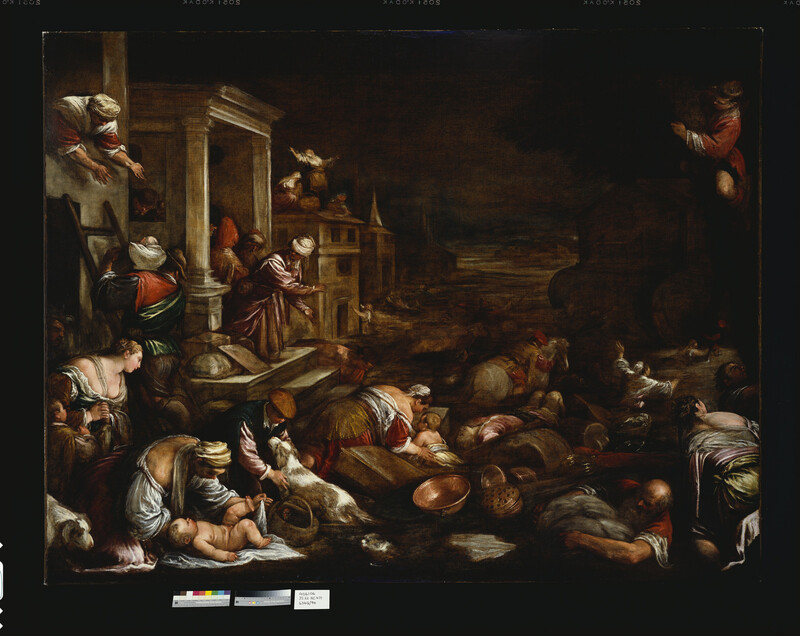 In the foreground people rescue their children, dogs and possessions from the encroaching water, making towards the Ark which is visible in the background. On the right a boy has climbed a tree and on the left Noah emerges from his house, beyond which are people on a roof. This is an impressive painting which is boldly and in parts coarsely painted. Its condition has suffered over time and there are numerous tears in the canvas and some crude retouching, making it difficult to ascertain its quality and authorship. Several versions of the composition exist, and it is often found grouped with three other Noah subjects into a set; one such set is already recorded in 1578 in the inventory of Cardinal Ferdinando de’ Medici in Rome. It is unclear whether the sets were the primary idea, or whether they resulted from the grouping of individual Noah subjects for the market. The number of pentimenti visible in this work (such as the burden and posture of the man seen against the wall to the left) suggest that it is an early version of the composition rather than a copy after a set, and it may be partly autograph in execution.